Care & Share family support groups provide support, education, advocacy and information to family members and friends of those suffering with severe mental illness. Each person has an opportunity, if they wish, to share their current situation with the group. Since everyone attending has or is going through similar issues, everyone can offer understanding and comfort. Often group members are able to offer helpful ideas, suggestions and resources. Family-to-Family is a new concept in education for families and others who are affected by serious mental illness: schizophrenia, schizoaffective disorder, bipolar disorder, major depression, panic disorder, borderline personality disorder, severe anxiety disorder, obsessive compulsive disorder including co-occurring brain disorders and addictive disorders. The course was written by experienced family member and mental health professionals, and is taught by family members who have completed the course and are specially trained to teach the course to others. NAMI Family & Friends is a 4-hour seminar that informs and supports people who have loved ones with a mental health condition. Participants learn about diagnoses, treatment, recovery, communication strategies, crisis preparation and NAMI resources. Seminar leaders have personal experience with mental health conditions in their families. NOTE: A 90-minute version of the seminar is also available. To schedule seminar call (661)858-3255. Download Flyer. NAMI “Connection” Support Group is available at different times and locations throughout the month. It is mentored by trained peers with lived experience. Allows the consumer/peer a safe non-threatening environment to meet with others for support within their peer group. Peers general stay in recovery when they are actively involved in programs like these that encourage recovery. In Our Own Voice is a presentation by individuals that creates awareness about what is involved in recovery from mental illness. A powerful anti-stigma tool to change hearts, minds, and attitudes about mental illness. Call Amy at (661) 247-5426. An informative presentation that will give individuals an opportunity to learn about mental illness. To schedule presentation, call 858-3255. NAMI Ending the Silence is an in-school presentation about mental health designed for high school students. Students can learn about mental illness directly from family members and individuals living with mental illness themselves. Currently Not Available. This training course is for mental health professionals, case managers, residential care givers, front office staff, R.N.’s, psychologists, homeless outreach workers, vocational rehabilitation and job counselors, club house programmers, psychiatrists, therapists, and all those who serve individuals with serious mental illness. Currently not available. NAMI FaithNet is a network of NAMI members and friends dedicated to promoting caring faith communities and promoting the role of faith in recovery for individuals and families affected by mental illness. Currently not available. NAMI Kern County is an IRS recognized 501(c)(3) Non-Profit Organization and all donations are tax deductible as allowed by law. NAMI Kern is an affiliate of NAMI California. We are a grassroots (501(c)3 nonprofit corporation made up of families, friends, professionals, students and individuals living with mental illness. Amazon will donate 0.5% of the price of your eligible AmazonSmile purchases to Nami Kern County Chapter whenever you shop on AmazonSmile. You can select a different charitable organization after signing in. 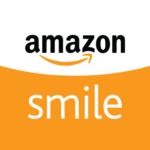 AmazonSmile is the same Amazon you know. Same products, same prices, same service.